French Artist Philippe Halaburda Finds the Light in America | | Quiet Lunch. 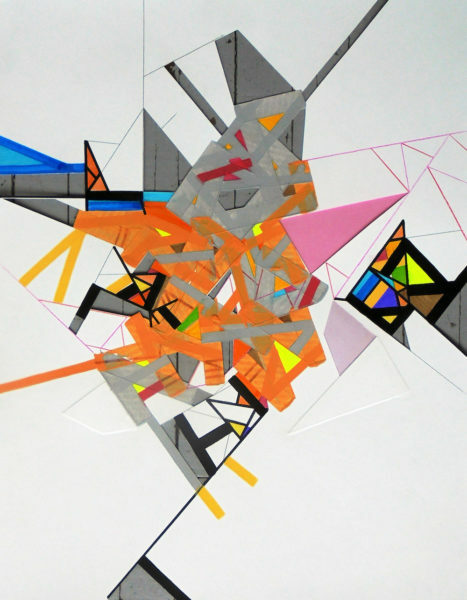 The French artist and expat, Philippe Halaburda, arrived in the United States on November 6, 2016, looking to take his artistic career to new heights and clearly, new places. This was, of course, just two days before Donald Trump would shock the world and win the presidency. As if moving to an entirely new country isn’t stressful enough. Halaburda had been living in the South of France (Aix-en-Provence, about 20 miles north of Marseille) for 16 years. This came on the heels of a short stint in Switzerland and a stretch in Paris, where he worked as a graphic designer. 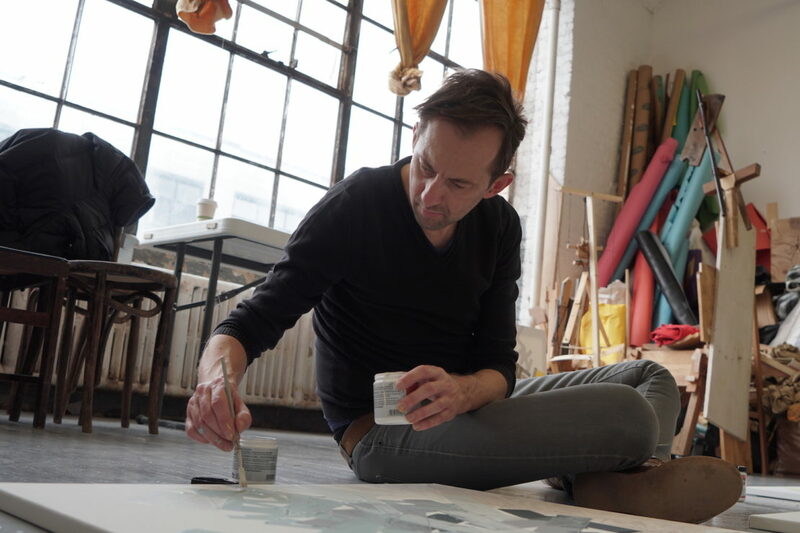 He now lives in Bushwick, a short bike ride from his sun-lit studio in the 56 Bogart building. In his early 20s, Halaburda did quite a bit of painting, but mostly as a hobby. He was outside in pleasantly gratuitous nature, replete with her many curves and an abundance of light. “The light in the South of France is very specific,” he says, reiterating what many astute art history lovers seem to infer. Halaburda mentioned that he had always been “searching for the light.” But where this was the main mission behind the painting and also his notable photographic pursuits, this search may have moved internally. On May 2, Halaburda will unveil a solo booth, Spatial representation of emotion, at The Other Art Fair, now in its fifth Brooklyn edition (Brooklyn Expo Center, Greenpoint) and its 37th globally. The fair, presented by Saatchi Art, will be representing over 16 countries around the world. 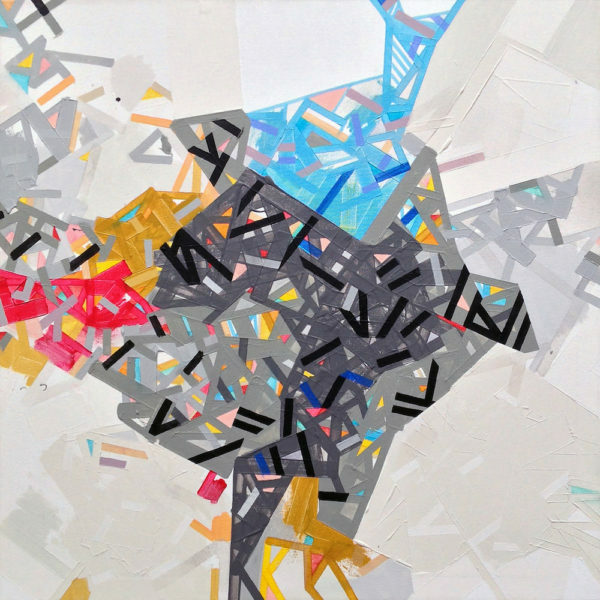 Halaburda will now be counted among their 49 New York-based artists out of 130 total. It’s been an interesting journey for Halaburda, who could serve as one portal into the larger art fair ecosystem and greater art world, where so much art and so many human art stories frequently get lost or side-stepped, some rightfully so, others, quite shamefully. At the time he was the first living artist to be selected for representation with the gallery in over a decade, perhaps because his anti-click bait work can feel more “modern” than “contemporary,” meaning, less figurative, more emotional (form, color), and certainly less didactic. Halaburda would visit the United States roughly twice a year only to see some art world relationships fade before deciding to make the leap across the pond. 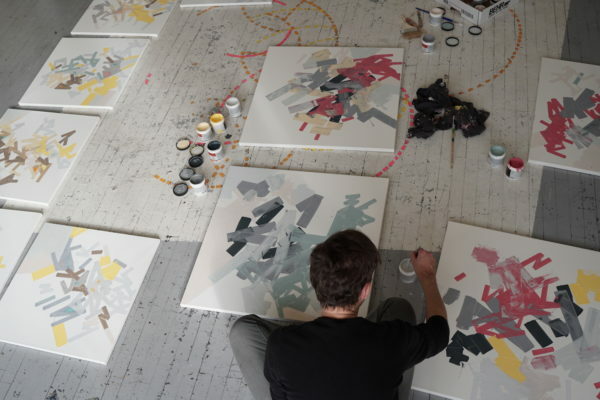 Philippe Halaburda in his Brooklyn studio. 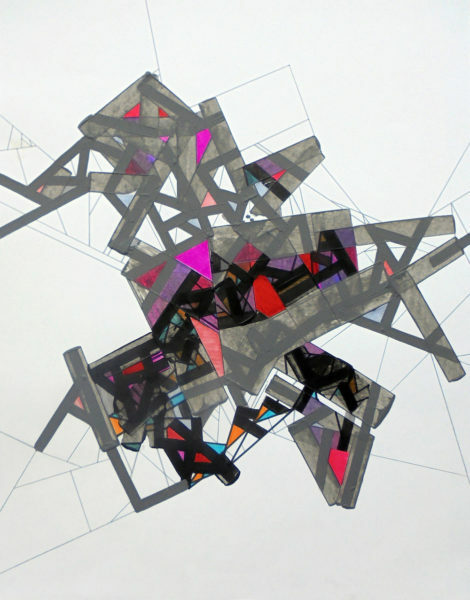 Halaburda has recently been breaking into the third dimension, with his floating plexiglas installations, which also feature his algorithmic, bacterial rectangles, scratches and splashes-tiny bodies or nodes floating over a minimal web of architectural lines or strings. However, paint is often replaced by strips of tape. 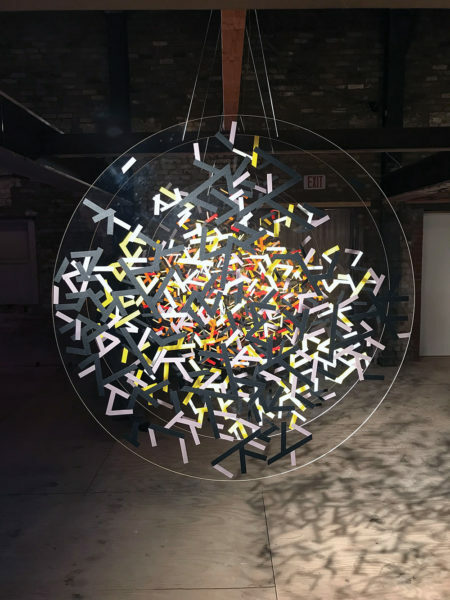 A work of this nature was recently featured in FLOW, an immersive art experience in a previously inactive space, now Midtown’s The Bellewether, which ran from March 4-11. This was part of creative agency The Vanderbilt Republic’s partnership with Circular City Week New York, an initiative that brings together creative professionals across the globe to transform industries and redesign urban living. 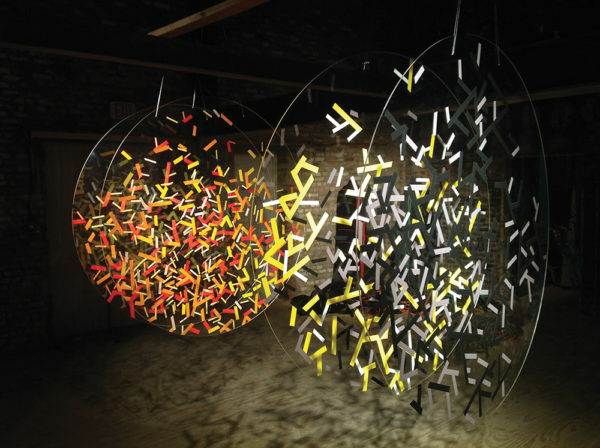 In many ways, Halaburda’s installation-four large plexiglas circles riddled with his geometric animaculai, which cast shadows across space like falling (in extreme slow motion) leaves or confetti-acted as a visual representation of this project’s larger goal, while alluding to our interconnected yet all too disembodied planetary relationship.